Arthritis(DJD) is the #1 cause of chronic pain in dogs. It affects 1 in 5 adult dogs. Signs that your pet may have arthritis include the following: limping, difficulty rising, reduced mobility, stiffness, decreased activity, and muscle atrophy. 1. Keep your pet at a lean body weight. This helps reduce the forces on painful joints. 2. Ensure your pet gets daily low impact exercise such as walking, swimming, physical therapy or hydrotherapy. This helps keep joints and muscles active and flexible. 3. Supplement your pet's diet with joint protective agents such as omega fatty acids, Dasuquin, or Adequan. These help supply the joints with essential nutrients that maintain health and improve condition. 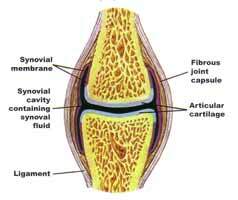 They also slow the progression of damage to the cartilage within the joint. 4. If you are doing the first 3 treatments and your pet is still painful we will prescribe anti-inflammatory medications such as Rimadyl or Deramaxx. This helps alleviate pain and inflammation, but does not directly improve the joints.